January has got 2019 off to a flying start! We conducted a record 70 programmes in the centre itself and our largest IET programme to date with 51 participants! Our thanks to all the volunteers who have supported us with these endeavours. With Sadhguru’s arrival in April on the horizon, let’s continue to make it happen! he period between Guru Purnima and Mahashivaratri is known as Sadhanapada. 14 steadfast yogis on Sadhanapada at the Isha Yoga Centre, London are looking forward to take part in Mahashivaratri celebrations as a culmination of what seemed like a sizeable undertaking only 7 months ago. Not just because - not looking to loose weight - my wedding trousers are fitting again. Not just because - not looking for a change in career - I started the business I always wanted to. Not just because - not looking for a new family - I have gained 12 brothers and sisters. Not just because - not expecting anything - I discovered yoga, I discovered life. No, Sadhana Pada changed my life because of Sadhguru's grace. Mahashivaratri, a night of tremendous spiritual possibilities, will be celebrated for the 25th time at Isha Yoga Centre in India, and we will be hosting grand celebrations at our London centre once more. 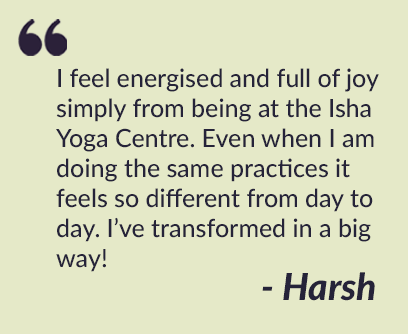 Celebrate Mahashivaratri at the IYC, London! 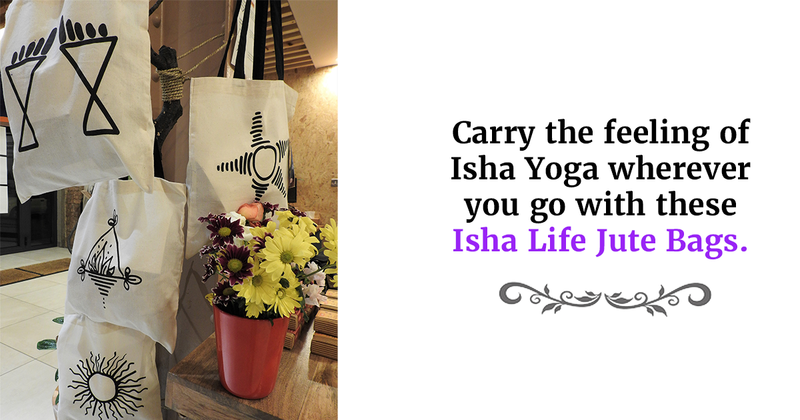 For our full programme schedule please see ishayogalondon.com. Youth is a time of great energy and flexibility. Yoga for Children on 19th - 21st Feb, where children will be introduced to a simple 18 step practice that they can take away with them. Find all the above products in-store at the IYC! As we continue to grow rapidly, your support is more essential than ever before. No matter how big or small, every penny takes us a step closer to fulfilling Sadhguru’s vision for the Center: to act as a hub for spreading human consciousness throughout Europe. Have feedback for our newsletter? We'd like to know!